Vessels of love come no bolder, brighter or more beautiful than multifaceted singer, songwriter, arranger, and producer Lynne Fiddmont. All that pours forth from her essence is compassion and creativity of purest purposed beauty. Over a career that has seen her glide gracefully from sharing her vocal gifts at the service of world class artists such as Stevie Wonder, Natalie Cole, Bill Withers, Phil Collins, Barbara Streisand and Joe Zawinul to recording her own lovingly crafted projects Flow and Lady: A Tribute to Billie Holiday, Lynne generously ladles on the love, the laughter and the longitude in an artistic situation. Her fourth album, Power of Love, speaks to the many hues and dimensions of matters of the heart be it the brotherhood/sisterhood of global human existence or the slippery sensual space between lovers that shuts the world out like the most delicious of kisses. 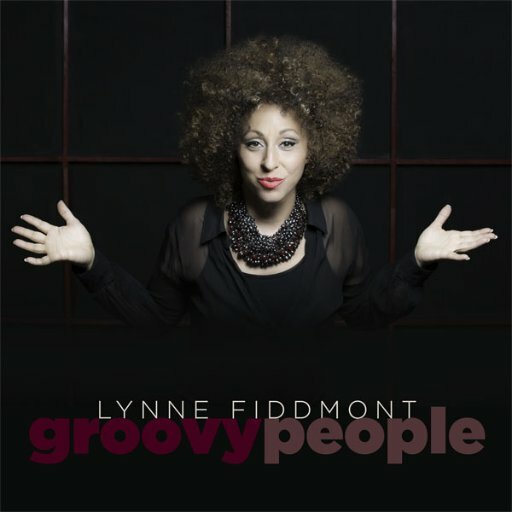 Power of Love is an exquisitely balanced collection of hand-picked classic R&B covers that reveal some of Lynne’s influences and mentors, along with her freshly penned original soul songs that amplify and reflect precisely how those inspirations have helped to shape who she is today – as an artist and as a woman. Lynne was also recently in a nasty freeway accident – her car was totaled, landing upside down – yet she was blessed to walk away from it with only a broken nose. The scare reconfirmed the fragility and fleetingness of life, pushing her forward to start on this fourth album she’d been putting off. That urgency was heightened upon the passing of Natalie Cole who Lynne was singing backup for right up until her death on New Year’s Eve. Therefore, alongside sensual covers of classics by Minnie Riperton (“Lovin’ You” and “Memory Lane”) and Norman Connors (“Invitation”), Power of Love also includes profound selections by John Lennon (“Imagine”) and Stevie Wonder (“Ngiculela - Es Una Historia - I Am Singing”). St. Louis, Missouri-native Lynne Fiddmont graduated from Boston’s prestigious Berklee College of Music then moved to Los Angeles, landing her first gig with the Jazz Crusaders. She became an in-demand studio and touring singer working with the likes of Nancy Wilson, B.B. King, Whitney Houston, Elton John, Dave Brubeck, Babyface and Stanley Clarke (among many) - from “American Idol” to “The Grammys,” and at the White House for President Barack Obama. In 2006, Lynne Fiddmont released Flow on her own label, MidLife Records, followed in 2010 by her loving salute to Billie Holiday, Lady, and Spirit of Christmas (2012).